This-two day adventure tour combines river tracing (a combination of trekking, climbing and even swimming through a sometimes-swiftly moving river) and traditional hiking and exploring through Taroko Gorge. 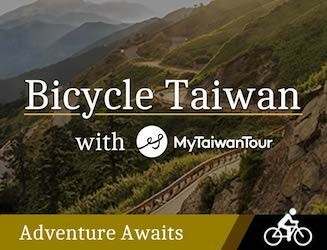 Along the way, you’ll experience the island’s unique, natural landscape, local cuisine, and gain a deeper understanding of the culture and scenery of Taiwan’s magnificent east coast. You’ll be provided with all the equipment you need, full transportation and, of course, dry towels following your river tracing adventure. Most importantly, you’ll have a trained English-speaking guide and river tracing coach who knows intimately the lay of the land. In addition to adventure and exploration, you’ll spend the night in a great hotel and experience some of the cuisine that Taiwan’s east coast has to offer. After breakfast, we’ll head out to Taroko Gorge to explore one of Taiwan’s most renowned scenic attractions. Depending on the group’s energy level we may do some short hikes along some of the area’s beautiful trails, visit a waterfall or two and maybe check out a few temples. In the afternoon, we’ll head for lunch at a local tribal restaurant before slowly making our way back up the East Coast Highway to Taipei, returning you to your hotel in Taipei around sundown. Tour requires a minimum of 2 guests. We do our best to accommodate individual travelers by placing them on tours with other guests. In the event an individual traveler cannot be so accommodated, guests will be offered an alternative tour of equal value or full refund. Guests canceling at any point up to 31 days prior to this tour’s starting date will receive a full refund. Cancellations made between 30 and 15 days prior to departure will receive a 90% refund. Cancellations made between 14 and 7 days prior to departure will receive a 70% refund; Cancellations made less than 7 days prior to departure are non-refundable. 69 people have browsed this in the last week.